Dr. Scott Camazine reached his funding goal for his second Kickstarter project in just a few days. Like his first project that was also fully funded, this project focuses on animal skulls. 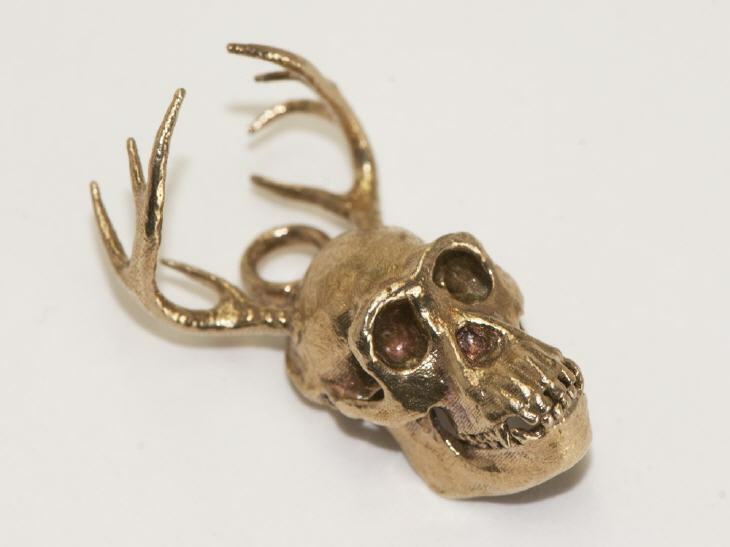 The miniature animal skulls, cleverly called Skulptures, are cast in bronze, brass, sterling silver, and 14K gold. In his Kickstarter campaign, Camazine has scaled the skulls to a size that can be worn as a pendant or other jewelry, such as earrings. They can also be displayed in a bell jar display. Backers of the project will receive one or more skulls and a pedant chain and/or bell jar display depending on how much they fund the project. Camazine’s passion for animals and biology began when he was young. As a teenager, he spent much of his time collecting insects and assembling skeletons from dead animals that he found. After learning about lost wax at a summer camp, he made his first silver mushroom. “I didn't want to just collect things and put them in jars of alcohol or formaldehyde. I wanted to find a way to display their intricate beauty,” said Camazine. While he has created and continues to create many animal sculptures, he still has a favorite. “I have a fondness for the spider monkey skull since that was the first one I worked on. It took so long to get the 3D model just right. Also, the big eyes are haunting, almost human, and remind us that every creature has a story, a soul, and deserves our care and respect,” said Camazine. The Kickstarter project, Skulptures: Miniature Metal Cast Animal Skulls from CT Scans, ends on March 5, 2014. More information is available here.